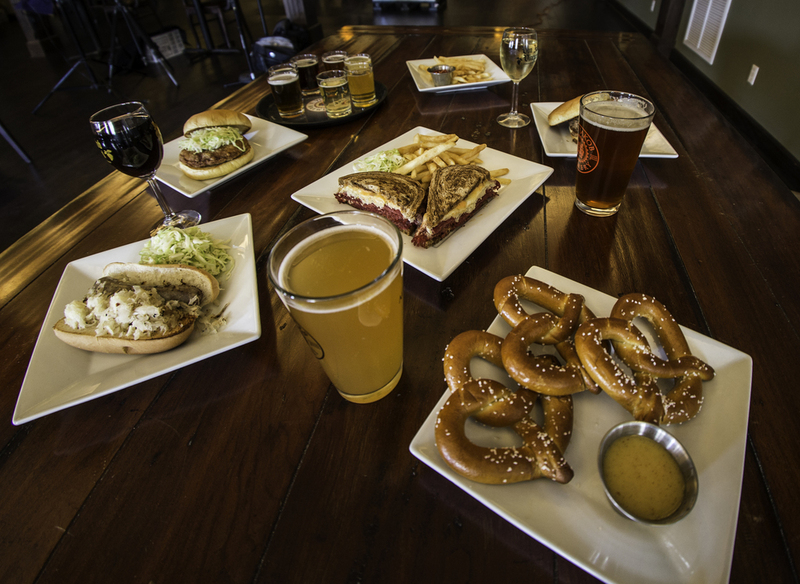 Visit us for a casual dining experience on your trip to the Shawnee Wine Trail and Von Jakob Winery & Brewery. 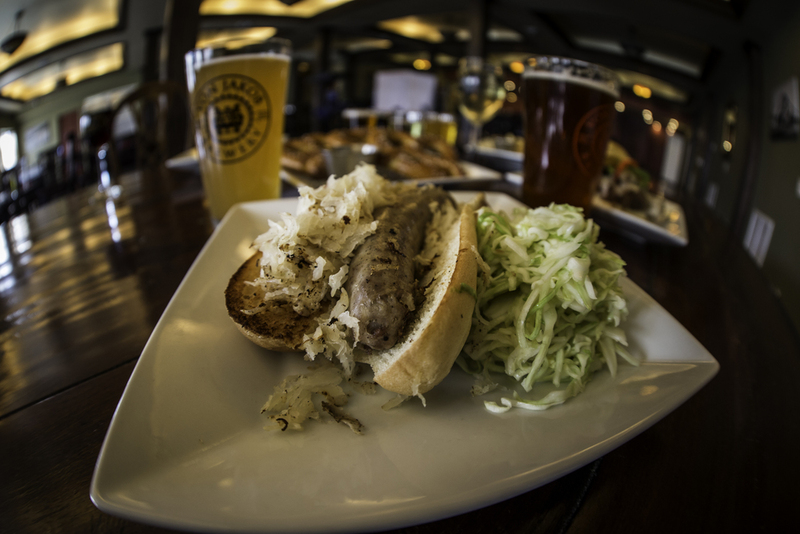 Our Grill & Pub is open on Friday & Saturday's until 9pm. 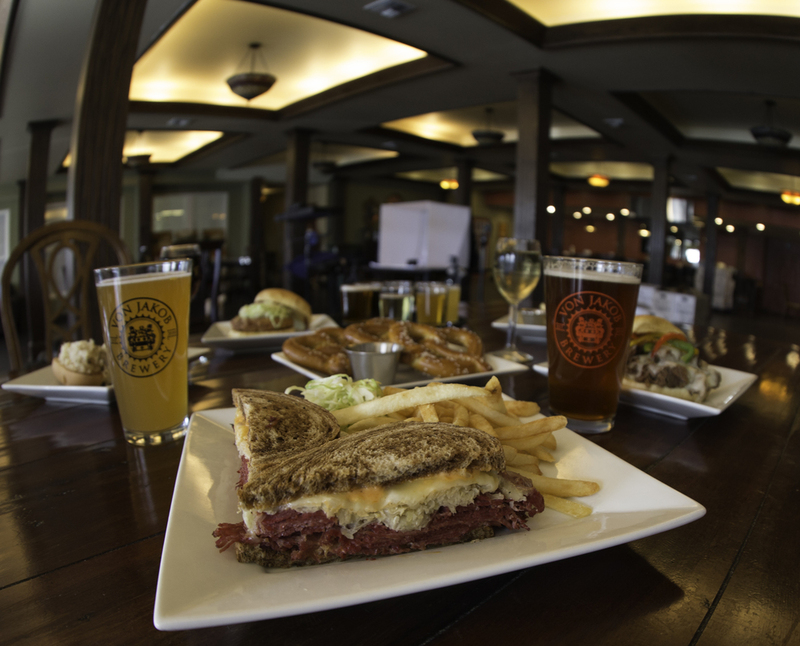 Visit our Grill & Pub for a casual dinner, full bar, drink specials and board games. Download our menu in PDF format. 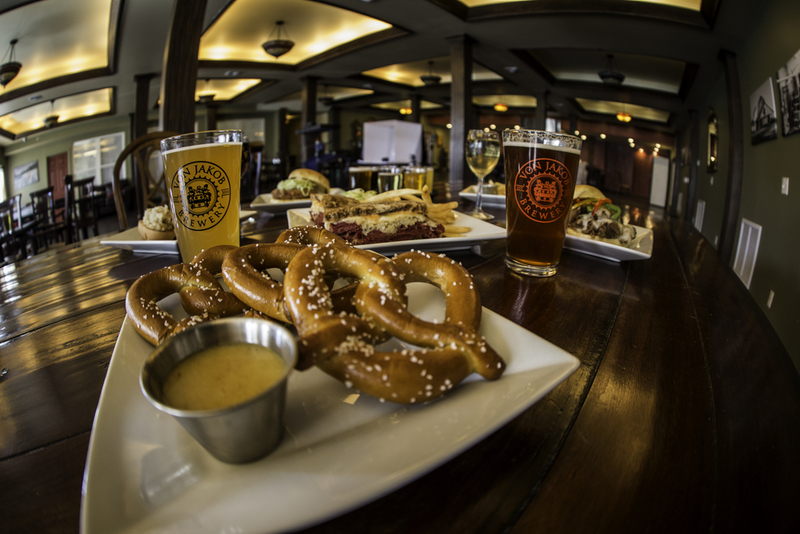 Two large, fresh baked soft pretzels served with honey mustard dipping sauce. Classic Italian pasta with marinara sauce. Chef’s selection of prepared meats, cheeses and garnishes. Fresh mixed greens served with our signature vinaigrette dressing. Fresh romaine lettuce with Caesar dressing, croutons and Parmesan cheese. Sliced grapevine-smoked brisket (smoked 16 hours for tenderness) on a butter bun, topped with melted mozzarella and sautéed peppers and onions. Two 4 oz. burger patties, served on a toasted butter bun, all burgers cooked to medium. (add cheese or bacon for $1). Bualo chicken sandwich with mozzarella cheese served with a side of ranch. German beef brisket with creamy white cheese and peppers and onion. Tenderized grapevine-smoked beef brisket with au jus. Pork or Beef Schnitzel, tenderized, breaded and fried, served with gravy, sautéed peppers and onions. Beer battered cod filets with fries and tarter sauce. Lightly breaded catfish strips fried and served with tarter sauce. Marinated, marbled, pan-seared bone-in pork chop with sautéed peppers and onions. 14 oz. cut in-house rib steak.